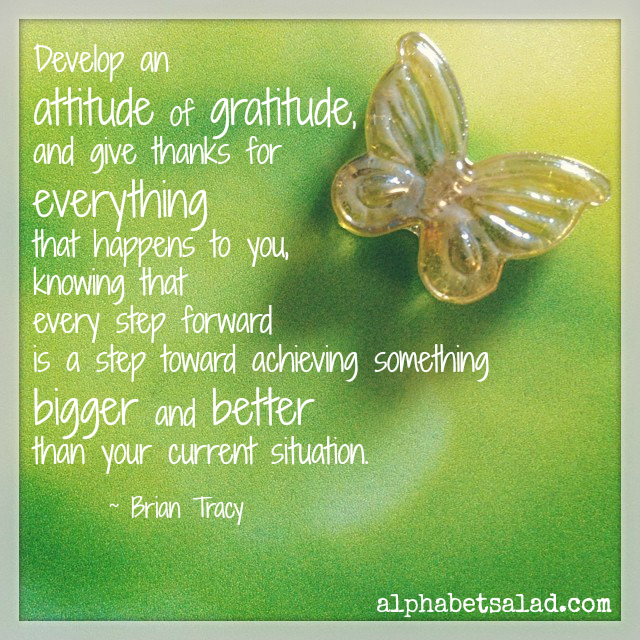 What’s on your gratitude list as we bid farewell to August and look ahead to fall? I’m grateful for the ever-nearing opportunity I’ll have to see my family and some old friends when I visit Victoria in October – now that September is practically here, it seems like my trip is that much closer, and I’m getting more and more excited about it! Having the strength and commitment to stay on a healthy path of eating and exercise. The service and friendliness of the owners and staff at our fabulous neighbourhood pharmacy. The fact that Oscar has become sweeter than usual and so very cuddly with me lately. There’s nothing quite like a cat who loves and wants to be near you! 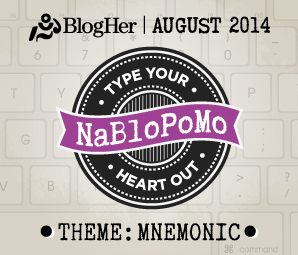 The people who put their time, effort, and creativity into organizing groups, challenges, and linkups – such as NaBloPoMo, the Fat Mum Slim Photo A Day Challenge, Write Tribe, Photo Friday, and Midlife Boulevard. I am thankful for the benefits that each brings my way as I get involved and participate – motivation, blogging support and networking, ideas, resources, creativity stretching… the list goes on and on! Having one of my photos chosen as a top pic – a rare occurrence that always makes my day. Talented friends who share their gifts with the world. Living in an air conditioned home, particularly when the city is in the middle of a heat warning. Owning a laptop and enjoying its flexibility. Good list! I don’t know what would be on mine. I’ll let you know when I do though, ha! CongratulAtions on the top pic award 🙂 even I am grateful to all the admins and organizers of awesome challenges 🙂 wonderful list. Shalini recently posted… Look who’s One!! Wonderful list Laurel. With almost all my family members down with fever I really need to look for stuff to be grateful for. But like you said in one of your previous posts that’s a good time to practise gratitude. So for now I’m just happy I’m spared the ill health so I can look after the rest of them! Oh, what a shame! Definitely a blessing that you’re still healthy… hope everyone else is back to normal soon! I am grateful that you mentioned “Write Tribe” in this post! While I’m not sure the Problogger Challenge fits in my September calendar, the blog appears to be a good resource for bloggers and I am following them now! Thank YOU! Write Tribe is a great group! Glad you like it! This month marks my 1 year anniversary of owning a laptop computer. I love the flexibility! Congrats on your continued commitment to sticking on a healthy path, keep it up! 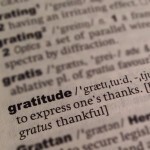 Thanks for sharing your gratitude list!